Lady Rebecca Fashions is located in Auburn, WA. Originally from the SF Bay Area, Rebecca has been sewing since 2005, but has been a lover of history and its various fashions for much longer. She has been creating historical costumes since 2010, studying fashion plates and extant garments to create accurate reproductions. More recently, Rebecca has focused much of her sewing energy in creating exact reproductions of some of animations most famous Princesses. In addition to sewing for herself and others, Rebecca has been teaching group sewing classes since 2012, and is now offering private in-home sewing lessons. In 2009, she graduated from Oklahoma City University with a BFA in Acting and a minor in Costume Design, but her true passion is building historical costumes. You can frequently find her attending various costuming events throughout the country. 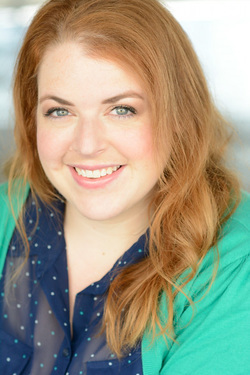 Besides constructing costumes, she also has an extensive background in performing onstage as an actor, as well as working in wardrobe in theatre and theme parks.